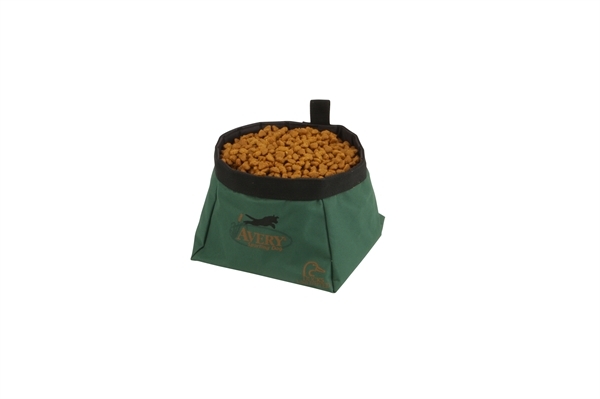 The EZStor Collapsible Dog Bowl (AV02177) by Avery Outdoors Greenhead Gear GHG is the perfect accessory for dog and owner on the go! 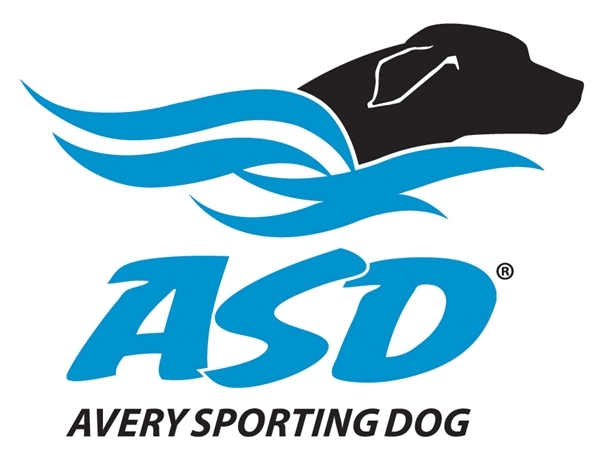 Great for Hunting, Hiking, Camping, Boating, Road Trips, Indoors and Outdoor use. Cleans easily and stores compactly. 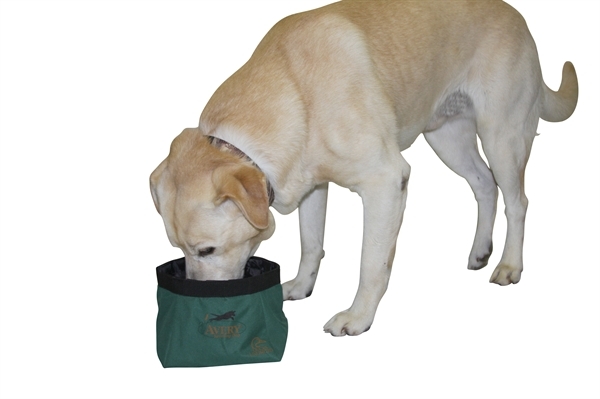 The EZStor Collapsible Dog Bowl holds up to 16 ounces of food or water. It has a Leak-proof internal rubber bladder. Constructed with a 600D DuraMax outer means years of usage. And it packs perfectly into the DriStor Vacationer Dog Food Bags. 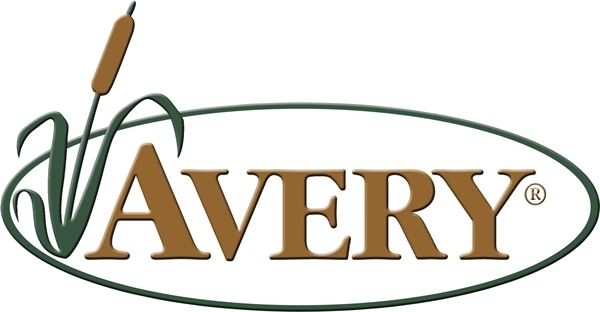 This EZStor Collapsible Dog Bowl (AV02177) by Avery Outdoors Greenhead Gear GHG is a great accessory to have on your trips.